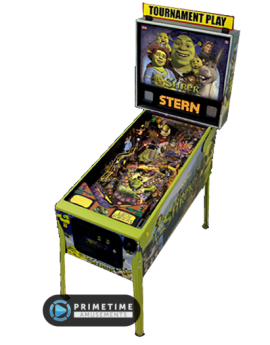 It’s time to take a wild ride across the galaxy as players join the Guardians of the Galaxy in another sci-fi adventure by Stern Pinball. 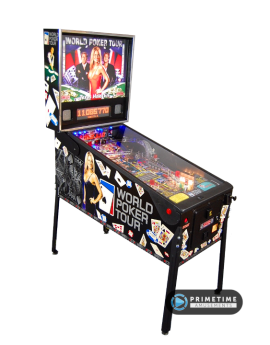 Licensed by Marvel Comics, this listing is for the Pro edition of the table; Premium & Limited Edition models are also available at different costs. 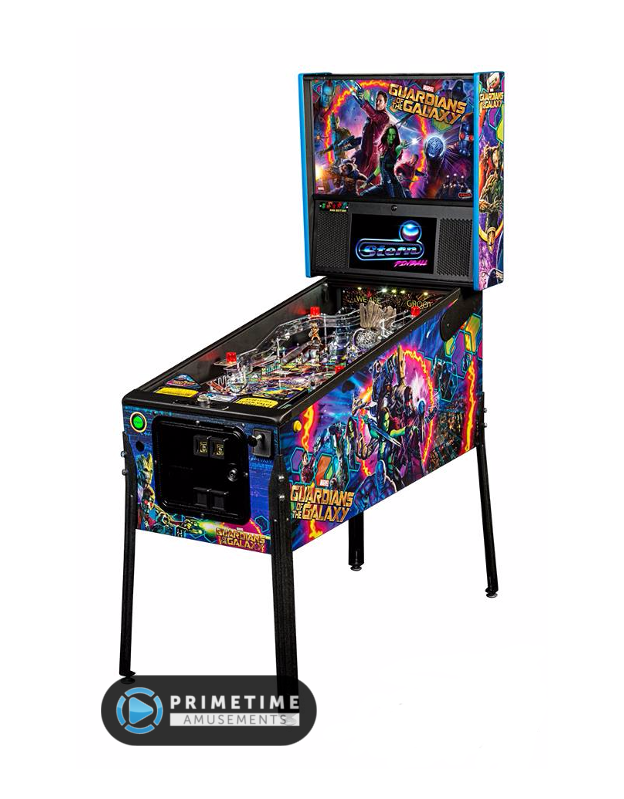 Your quest with every play of this pinball machine is to join Star-Lord, Rocket, Gamora, Drax the Destroyer, and Groot as you battle the evil Ronan. By honing your pinball skills, you must stop him from using the Infinity Stone to destroy the galaxy. Each model in the Guardians of the Galaxy series is packed with features, designed to provide an irresistible gameplay experience for home or arcade users. 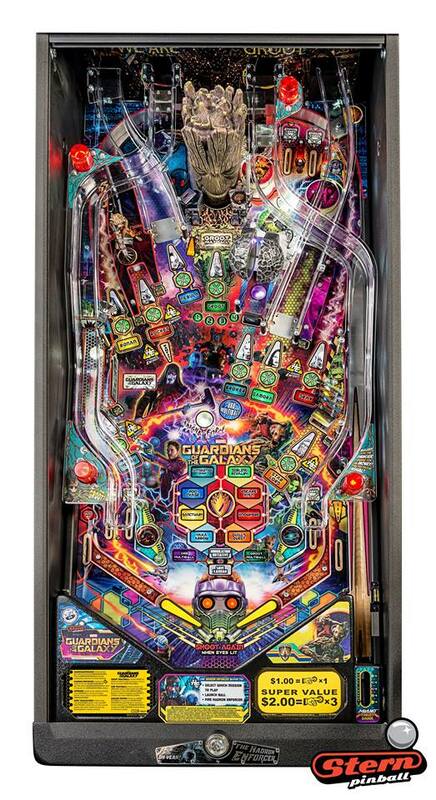 Each game features a sculpted and interactive ball-eating Groot toy in the rear-center of the playfield. A custom sculpted Rocket figure will also keep players on their toes as it blasts the ball back at rocket speed. Color-changing inserts highlight the mysterious and interactive Orb, which opens to reveal the powerful Infinity Stone. Check out the Guardians Of The Galaxy Pro model as seen at the IAAPA 2017 trade show event. Video available in 4k UHD resolution! 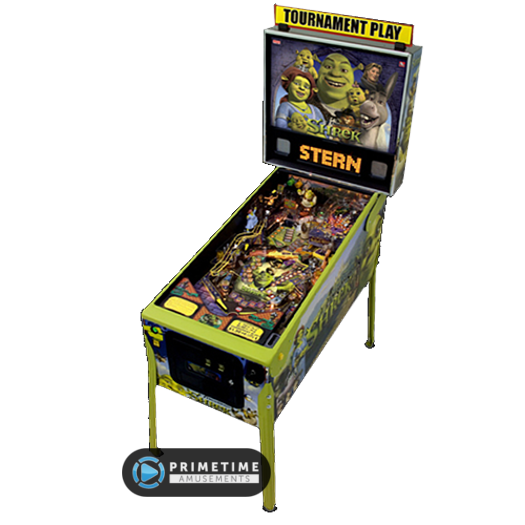 All models feature support for 1-4 players; 2 flippers; 2 spinners; 5 Hadron Enforcer & 2 Groot stand-up targets; A Hadron Enforcer action button; 3 pop bumpers; two ramps; an HD color display in the backbox & under the translite art; a magnet under the playfield; humorous clips taken from the first two films; original music; hand crafted talking Groot “bash head”, Rocket & animated Infinity Stone orb toys; 8 interactive gameplay modes; various multiball modes including the exciting Groot multiball & a 3-channel high fidelity sound system. 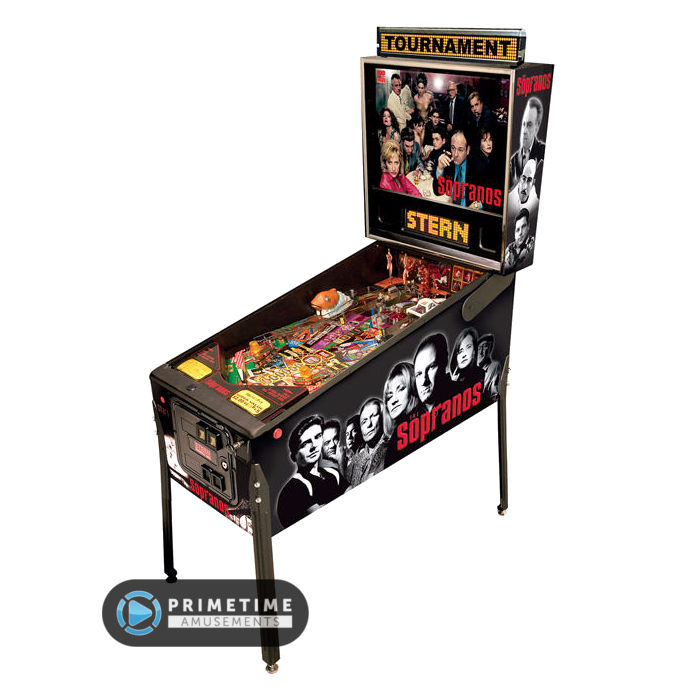 All powered by Stern’s SPIKE-2 versatile hardware system. 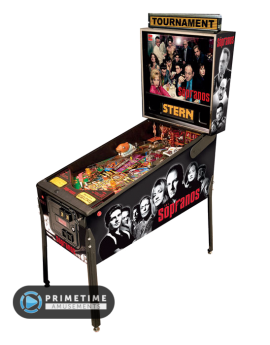 Pictured to the left is the Pro edition playfield as seen from above. 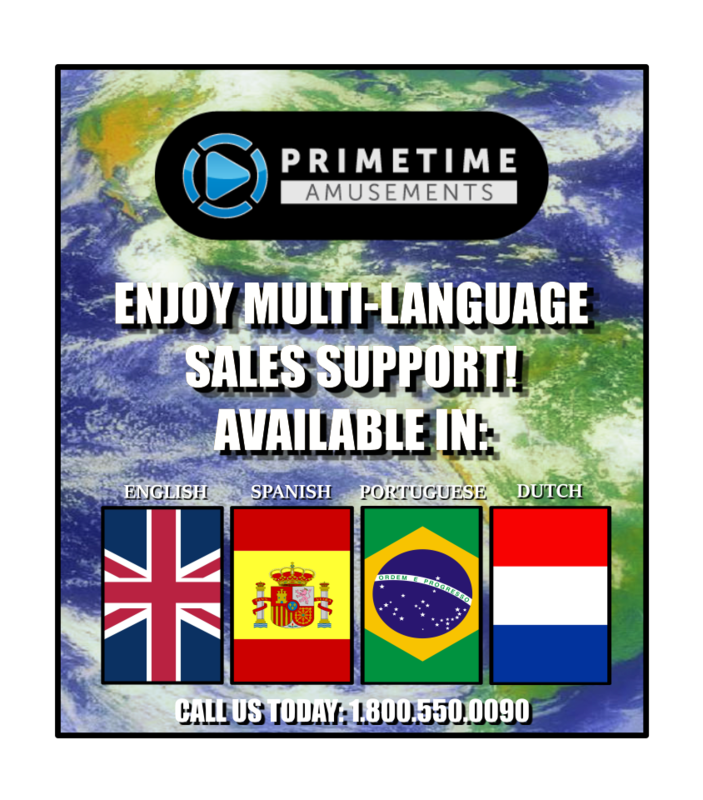 click on the image to see a larger, higher resolution view.